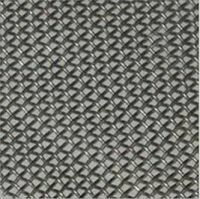 Reckoned for the exceptional Spring Steel Wire Mesh; we are a trustworthy Supplier in this domain. The organization is a trusted name based in Petlad(India) and known for its fair pricing policy. Our wire meshes can withstand various weather conditions and have a highly aesthic appeal when it comes to architectural applications like, fencing and wall decorations.